Driven by a world of wonders it’s time for a new adventure. A big one this time; South America! This one has been on my bucket list for quite a while now, ever since I figured I had to travel the world and my family still called me Paris Hilton (who definitely doesn’t do backpacking). First destination is Buenos Aires, Argentina. Not so much surf, but I have a feeling it does have an overload of adventures to offer. City of the tango, steaks, red wine and dulce de leche; according to those stereotypes I love it already. While staying at a party hostel in the centre of town I can definitely say the adventure has started. I spent my days wandering the streets of areas like La Boca, Recoleta, San Telmo and Palermo, each having their very own identities. 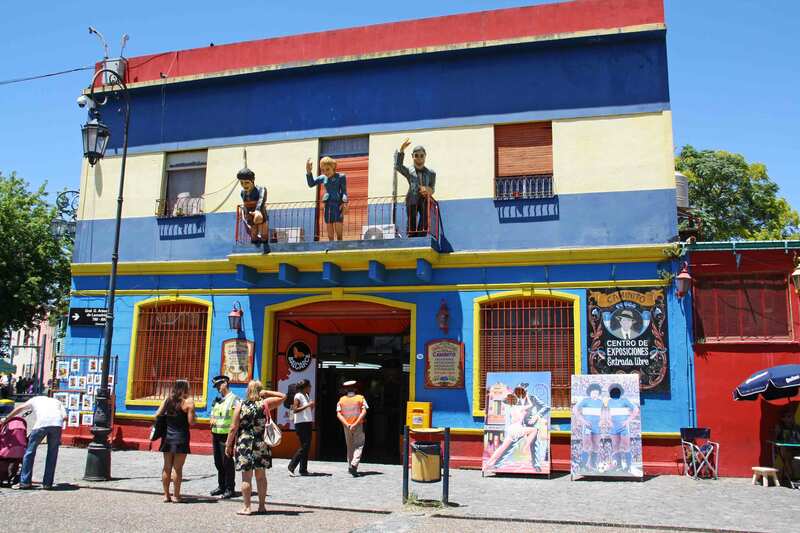 La Boca being so colorful (and very very touristy) with its street artists dancing the tango everywhere, bright colonial houses, street art, and of course home to the local and most popular soccer club; Bocas Juniors. 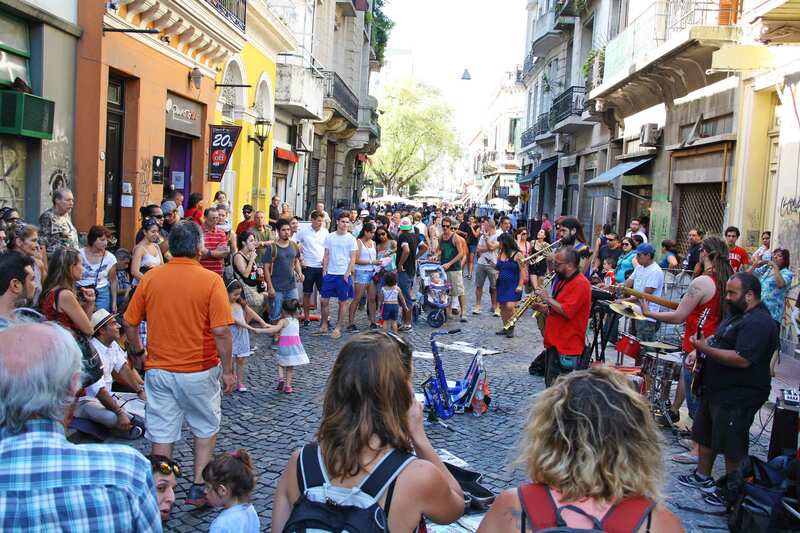 San Telmo is the place to be on Sundays. It’s main street changes into one big market filled with craftsmanship, the best smelling parillas (steakhouses) and music everywhere (people could seriously win Idols). Recoleta and Palermo on the contrary are so completely different. Recoleta has this beautiful cemetery where the grave of Evita Duarte-Peron the main attraction is. Surprisingly her grave is real modest compared to the absurdly huge mausoleums build here. Walking around this peaceful place in the middle of the craziness of Buenos Aires is actually the best. Palermo, however, is my favorite neighborhood I must say. The cobblestone streets are filled with shops of local designers and the nicest restaurants and bars. I almost felt like a local having dinner at Don Julio’s, sipping red wine on the street and eating the best steak at 11pm. Could Buenos Aires be any more perfect? Buenos Aires has so much to offer, there’s never enough time to discover it all. After staying here for a week I can definitely say I have to get back and learn the tango properly (fluent Spanish might come in handy as well), indulge in all the parillas and wander the streets of Palermo and San Telmo. Buenos Aires, it was so nice to meet you, hopefully we’ll meet again soon. Don’t forget to try the proper Argentinian delicacy: a Choripan! Love the colors of this city. Can’t wait to visit during my trip across South America! It’s amazing! Truly loved this city and could’ve spent months there discovering all it’s different neighborhoods and creativity.. You’ll have the time of your live!